Australian big man Thon Maker is headed to the Detroit Pistons and Ben Simmons' Philadelphia 76ers are set to add elite Los Angeles Clippers forward Tobias Harris to bolster their chances of claiming the NBA title. 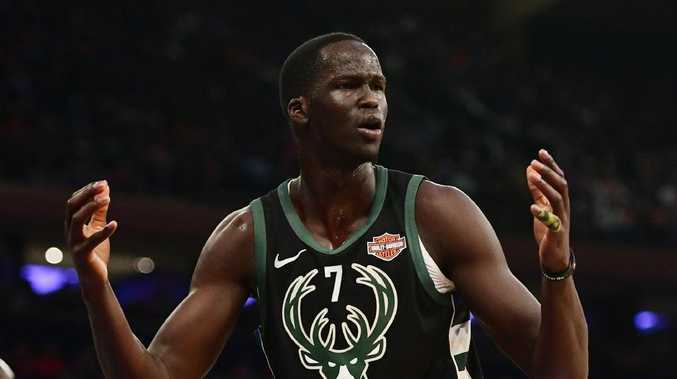 Maker wants more court time after watching his minutes dwindle at the Bucks since the arrival of head coach Mike Budenholzer. Maker's pending departure rocked the Bucks' leader Giannis Antetokounmpo. "Thon is like my little brother, this one hurts more than any trade that happened that I've been a part of but this is the business we work in," he told ESPN. The Pistons and Bucks are reportedly "finalising" the trade ahead of Friday's deadline. The 76ers added Butler in their first blockbuster trade earlier in the season. The team can see a path to the NBA championship this season and are willing to give up potential star Shandry and their draft picks.